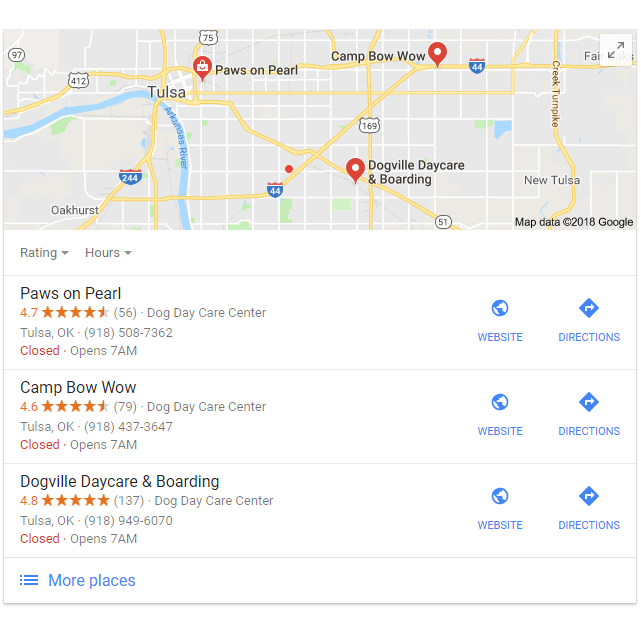 Google My Business (GMB) replaced Google Places listings in 2014 as the tool for managing your business profile on Google. From GMB, you can manage how your business appears on Google Search, Maps and Google+. It is an excellent tool to target your marketing to local consumers and help your business grow. Your listing obviously includes the basics: business name, location, hours, website and contact info. It’s essential for that information to be accurate and current. Luckily, it’s easy to do, as we’ll explain below. In addition to the basics, your listing can include reviews, photos, videos, “posts,” and a Q&A section. GMB provides two main benefits. The first is the improved search positioning and exposure it will give you. The more complete your GMB listing, the better Google will understand your business and the higher your listing will be in search results. It can increase the chances of your being in a “3-pack,” as well. When a user searches for a service on Google, Google provides local responses (they use your IP address if you don’t enter a specific location). If there’s an advertiser in the area, the 3-pack may be expanded to four, to include the ad, which will be marked as such. If you don’t have a GMB listing, or a partially empty one, Google won’t include you in the 3-pack, no matter how relevant you may be. These can give you a general sense of how potential customers react to your online presence and give you the opportunity to tailor your listing to their needs and interests in order to get the attention and reactions that you want. Log into the Google account that is or will be associated with your business. Create one if you don’t have one. Go to the Google Business page and click “start now.” Fill out all the requested information. Then you’ll need to verify your business. Verification can be by postcard (yes, the actual physical mail! ), phone, email, instantly or bulk. The first three are pretty self-explanatory. Instant verification is possible if you have previously verified your business with Google Search Console, a free analytical tool offered by Google. Bulk verification is for business owners running more than ten locations for the same business. You’ll need to fill out a form with information about each location. This type of verification can take up to a week, while Google reviews and processes your request. Once you have access to your listing, you should download the GMB app (both iOS and Android available). With the app you have some control over your listing. You can update most of the info, post pictures and view your insights. You cannot delete the listing, add or change ownership of it or change its setting via the app. As a small business owner, it is critical to get the most out of your Google listing. For your listing to reach its full potential and provide the most value for your business, you should utilize as many of the available elements as possible. The fuller your listing, the more reputable your business will be considered. Below, we’ll discuss a few particularly important elements. In addition to the short explanation of your services, Google now allows you to add a more detailed description (up to 750 characters) about your business. Not only will it improve your ranking, customers react more positively to a more complete explanation of who you are and what you do. At a minimum, you should include a bit about yourself, the business owner; the history of the business and your experience; and some details about the services you can provide. Be friendly and honest. By the end of the description, the reader should feel like they know you and want to do business with you. Your cover photo appears right on your listing. Your profile photo is what appears when you upload new photos, videos or respond to reviews. These are the two most important photos and they have to be defined in your GMB listing. The best cover photo will be of you (and your employees, if you have) at work. A profile photo should be a company logo or a headshot of you. In addition to these, you should include pictures of your products or completed services, where relevant to your business. 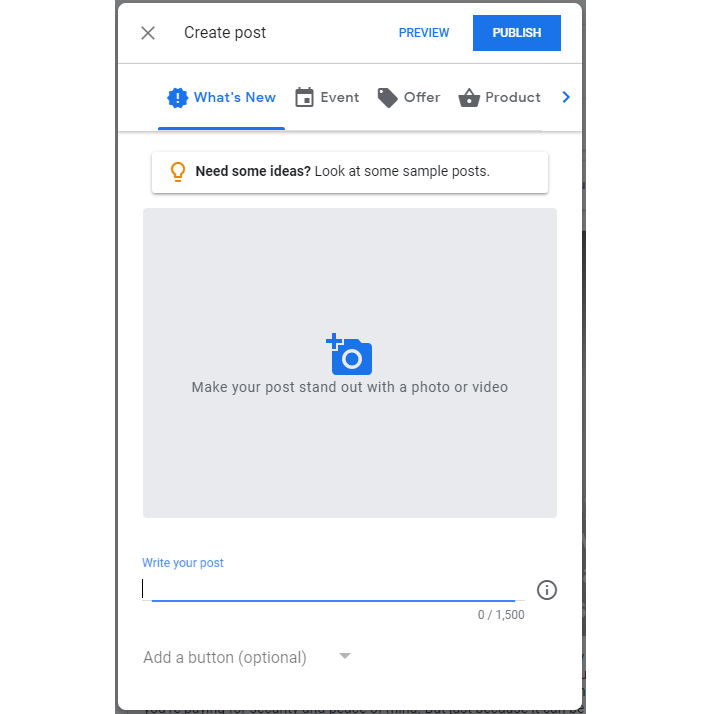 Google Posts allows you to add custom content to your listing. Adding content can help garner attention and credibility for your listing. Content can be almost anything. Google has special posts for “What’s New,” events, offers and products. The general “What’s New” can be a blog post, company announcement, video or new employee profile. 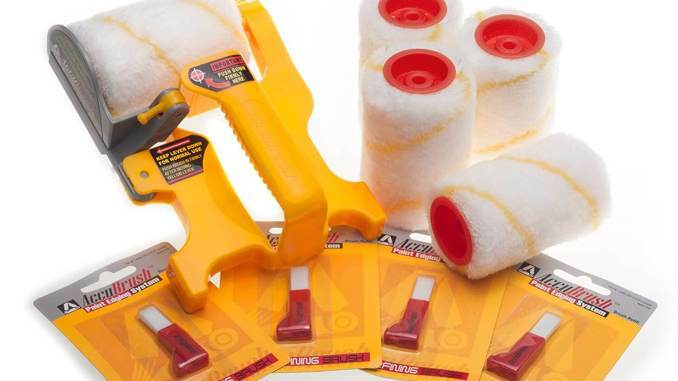 Let’s say you run a handyman business. You could publish a video with a short intro about you and your business and step-by-step instructions to resolve a common issue that you encounter. You may be thinking that such a video would only mean that you would lose out on those potential clients, but that isn’t the case. It’s true that such a client won’t call you for this particular issue, if you solved a small issue for them free of cost, it instills a sense of trust, confidence and appreciation that will lead this client to call you for bigger (aka more expensive) issues in the future. Whether you run a service-based business or a retail location, you can always offer a seasonal promotion for common services or products. This can drive sales and cause a spike in new client recruitment. People love a deal. And if you can get people to use your business once and you serve them well, they will come back. Whether you hired a new employee or bought a new commercial vehicle, people will feel more connected to your business if you keep them in the loop. When people feel connected to you, they are more likely to start using your services and continue using them. While these types of posts may not be directly relevant to all potential customers, the relatability of your business is important for building a reliable client base. We hope that these tips help you start building and strengthening your business’s online presence and therefore your business growth in the real world. Keep in mind that this is just the beginning. Developing a strong online presence requires time and commitment, but it is worth the investment! Review: Does the Accubrush really solve the cutting in problem? Many have tried to find a solution that saves people time and improves accuracy in cutting in. One such tool that promises to cut in quickly and accurately is the Accubrush. 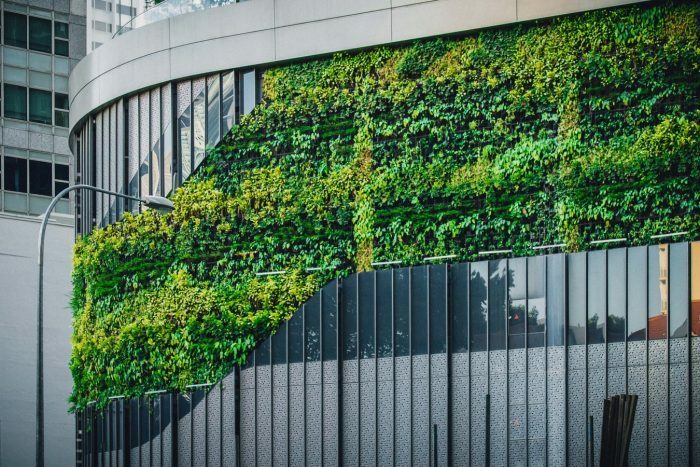 Green Building – What is it and who cares? Green building is construction that protects, benefits or at least doesn’t harm the environment and it can help you grow your business. 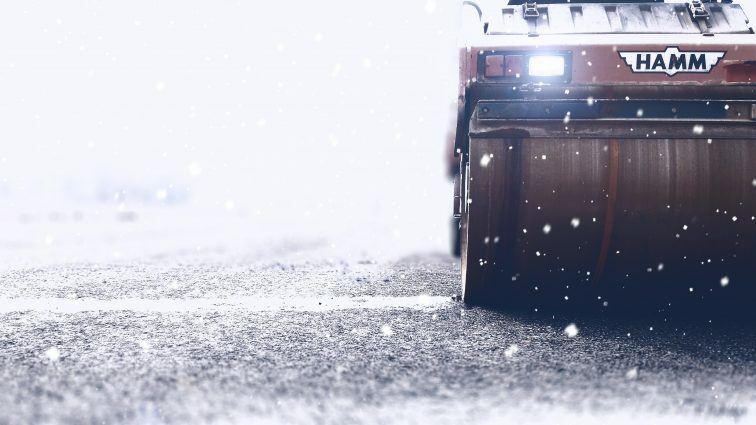 Everyone has to be aware of the risks when spending time outdoors in the winter, and no one more than tradesmen. Tips & advice once a week. You’re safe with us. We’ll never share your email address.